What s it like to travel by plane for the first time? Little flyers are in good company with Maisy leading the way. 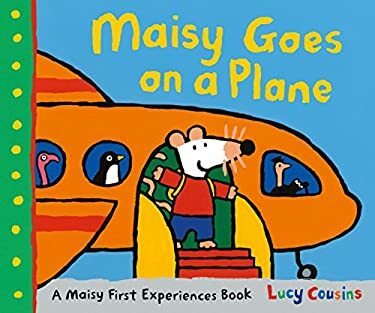 Maisy is going to visit her friend Ella, and she is taking a plane to get there. She s very excited Join the mouse as she checks in at the airport, finds her seat (by the window ) and makes some new friends on her flight. From the "whoosh "at takeoff to waiting in line for the bathroom, from buckling seat belts to arriving in a whole new wonderful place, flying is more fun with a friend like Maisy on board."